Please click on the map below to find the nearest Befriending Service for older people in your area. 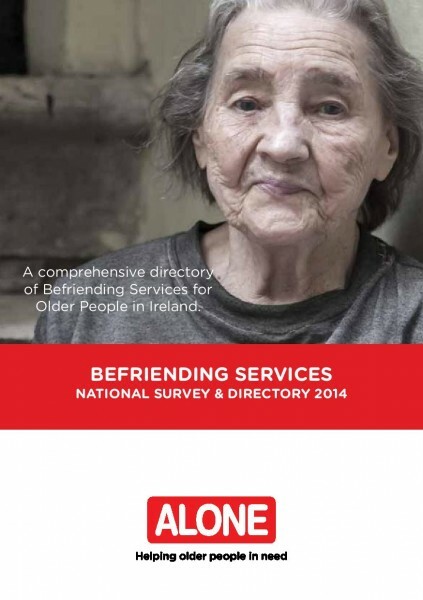 These organisations are part of Befriending Network Ireland, and are independent of ALONE. Select a location on the map to view further contact information. Befriending Network Ireland (BNI) is a national network of befriending services for adults, hosted by ALONE, which ensures that everyone in Ireland has access to a quality-assured befriending service, regardless of location or service provider. BNI was established by a number of befriending organisations in Ireland in 2015. The network was set up to increase collaboration amongst befriending services and to enable the sharing of information and resources. Today, more than 60 befriending organisations from across Ireland are members of BNI. Core Volunteer Befriending Training for services who would like their volunteers trained. Peer-to-peer shared learning opportunities in person and online to ensure rural access. Our future plans include further training and shared learning opportunities for befriending services in Ireland. BNI also holds an annual national seminar highlighting areas of interest and relevance to the befriending sector. A society where adults experiencing loneliness and social isolation are supported by quality befriending services in Ireland to improve quality of life, health and well-being. To promote the work of befriending and support befriending groups in providing quality services to adults to alleviate social isolation and loneliness. To provide a support network for Befriending Groups in Ireland and promote information exchange and shared learning. To support and promote best practice training, resources and quality assurance tools. To collect evidence-based data on the value and impact of befriending services on health and well-being. To promote research to highlight the link between isolation, loneliness and health and well-being. To campaign to alleviate isolation and loneliness and provide a national voice to represent, campaign and advocate on behalf of the befriending sector in Ireland. To ensure the future sustainability of Befriending Network Ireland and ensure that it is managed in a professional, transparent and effective manner. We provide resources and training to new and well established befriending and support services. Training options are available to both the staff of services and their volunteers. Please see our upcoming training below. *Some training sessions may need to be cancelled at short notice depending on numbers attending. We will endeavour to give you as much notice as possible of any cancellations. Training dates and venues are arranged between the Coordinator of Befriending Network Ireland and the Befriending Service that would like to receive training for their volunteers. Training quotations are provided to each service based on travel, training preparation and delivery and any additional expenses that may be incurred. If you are interested in attending any of these training sessions email Caroline Muller at caroline.muller@alone.ie or call ALONE on 01-6791032. If you are interested in attending any of these training sessions, please email Caroline Muller at caroline.muller@alone.ie or call ALONE on 01-6791032. If you are interested in attending any of these training sessions please email Caroline Muller at caroline.muller@alone.ie or call ALONE on 01-6791032. As a member of the BNI, you can have access to the Online Shared Learning Platform. Online Shared Learning creates a space for befriending coordinators to get support on key issues relating to coordinating a service. Each member brings forward issues in advance of the meeting that they would like discuss and obtain advice and support on. Network with other services in their locality and nationally. Obtain peer to peer support on issues or challenges in running a befriending service. Discuss specific topics affecting befriending services nationally such as funding and volunteer management. The meetings are informal in style and some meetings will have combined workshops. Regional Support & Networking Meetings are divided by Community Healthcare Organisation (CHO) throughout the country. However, you and your colleagues are not limited to only being able to attend a meeting in your own CHO area. If there is a meeting in another CHO area that you would like attend that is perfectly fine. To see the first meeting dates for 2019 please refer to the calendar below. To request attendance to one of these meetings please email Caroline Muller Wallace on caroline.muller@alone.ie referencing which meeting you would like to attend. We really hope to see you at one of the Regional Support & Networking Meetings this year! Loneliness is a health issue. It has been proven that people with few social connections can experience brain changes that cause them to view human faces as more threatening, making it harder for them to bond with others. Please click on the below link to find out more. The following four pieces of research highlight the importance of befriending as a health intervention. 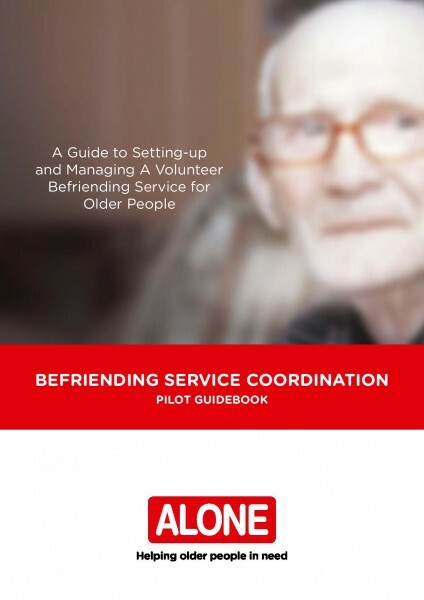 Such research brings to light how befriending can not only make such a positive impact on the befriended person’s health, but as a result, could alleviate pressure on national health services. A befriending project in Belfast has set-up a system form of befriending through mutual TV watching! Such a great idea and surely an enjoyable experience for both befrienders and befriendees. The following article from the Grimsby Telegraph describes how a Mother in the UK has set-up a befriending service for older people for Christmas due to this being one of the most difficult times of year for older people who are lonely. To read more please click on the following article.